will be available in February. 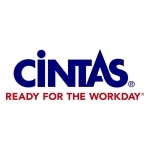 McKeown, President and COO of Direct Sale Strategic Markets, Cintas. go above and beyond to make a significant impact in the lives of others. Poor’s 500 Index and Nasdaq-100 Index.